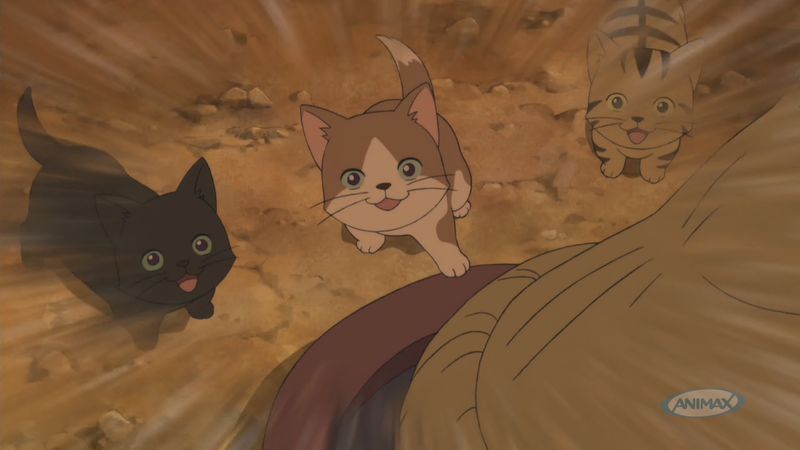 The other 3 Young Animators Training Project shorts are stuck at translation. Query blakbunnie27 on Rizon and remind him to translate them. Lupin has been dropped, but Jormungand has not. The reason is simple: Lupin is being 2 days late casted and was being done by a less motivated staff. Jormungand is being 4 days late casted and was being done by a more motivated staff. This might blow your mind but different people work on different projects. A batch for the first half of Aquarion Evol will probably be out later this week. Four members of staff will be in New York from May 13th to the 20th (including me). Expect delays. Edit I got sedated with an IV for the operation because I live in a rich area where the only option is general anesthesia, but those fuckers took 2 tries to find a vein. I pretty much shut my eyes and woke up and the operation was over. Pineapple juice sounds legit though. Malloy’s Element Power: Malloy’s power is a pun on his name. Malloy is written & pronounced moroi (モロイ). Moroi (脆い) means like breakable or brittle or [whatever word]. Sazanka’s Element Power: Sazanka is a fujoshi. Her element power is corrosion. If you need an explanation for this one, you shouldn’t be watching anime. Hyoka airs the 22nd. I’m assuming we’re still doing it unless the world ends. 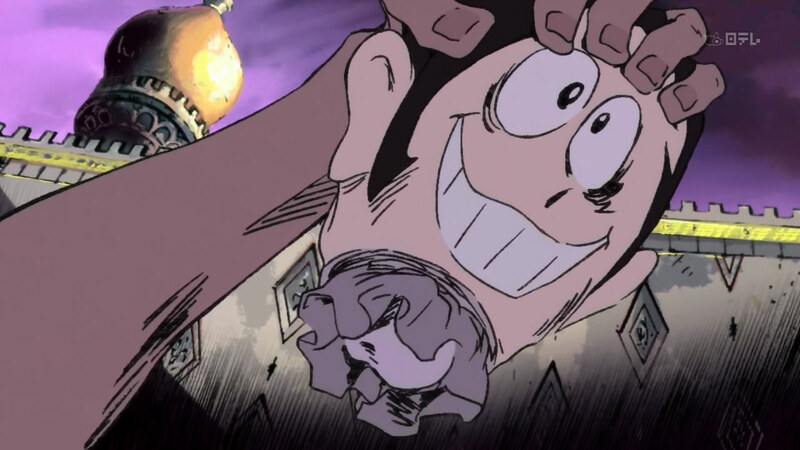 Funimation is apparently actually doing Lupin, so I suppose that’s dropped. I have no idea if Funimation is actually going to do Jormungand, but somehow I don’t feel like the people working on it care about Funimation doing it. Welp. 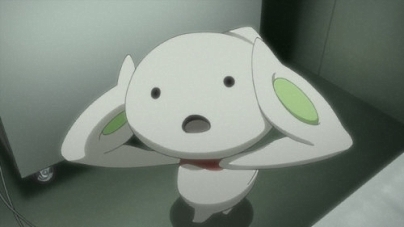 Our Eureka Seven was pretty derpy. The editor who was jumping up and down saying “KODA YOU CAN LEAVE EVERYTHING UP TO ME” derped pretty hard. (He also tried to edit the ending song without realizing there were 2 layers… lol.) The encode derps, however, were in the transport stream. Not much we can do about that. The Jormungand encoder’s response to “LOL GG YOUR RELEASE SMALL AND HAS NO GRAIN” was to try and get me to release a re-encode that was 1/2 the size. An Aquarion EVOL 1-13 batch is in the works. Afaik, no one wants to sub the E7 recap. By the way, you should watch Hikonin Sentai Akibaranger. Our taisetsuna nakama Azrael and his faggy friends at Over Time are subbing it. Edit: The encode issue was in the source. Jonah: Why do you sell weapons? Funi announced they would be simulcasting this, but no one has actually seen anything from Funi, so now everyone is confused. Edit: Jonah’s line @ 21:20 should be, “It’s not like me, but I think I’ll tag along.” Woops. I’m too lazy to type the full title or something. Koike refers to Takeshi Koike, who did the artwork for Redline. (Speaking of Redline, that movie was good and you should go buy 50 copies of the Bluray to send a message to Japan that we enjoy things like it.) Anyway, here’s some new Lupin. It airs at like 2am in Japan, and our translator lives in Japan, and he has like a 12 hour school day. So basically he either wakes up at 5am and translates it before school or he doesn’t do it until after. The more you know. Posted on April 3, 2012 Author kodaCategories NewsTags SWTOR13 Comments on Anyone going to PAX East? Unfortunately, our MBS capper is currently unable to cap MBS due to signal issues. We’re looking for someone who can cap MBS and provide us with caps of Eureka Seven Astral Ocean. It airs at 25:55 on Thursday evening aka 1:55am Friday morning in Japanese standard time starting on April 12th. Pm TheFluff on Rizon or leave a comment here with your e-mail in the e-mail field. We did the 2010 series as well, which you can download on BakaBT. With the exception of Torracman, they’re pretty good. The character 古 (old) is used to make 個 (separate). So, as you know by now, we have gattai (合体) aka union(s). 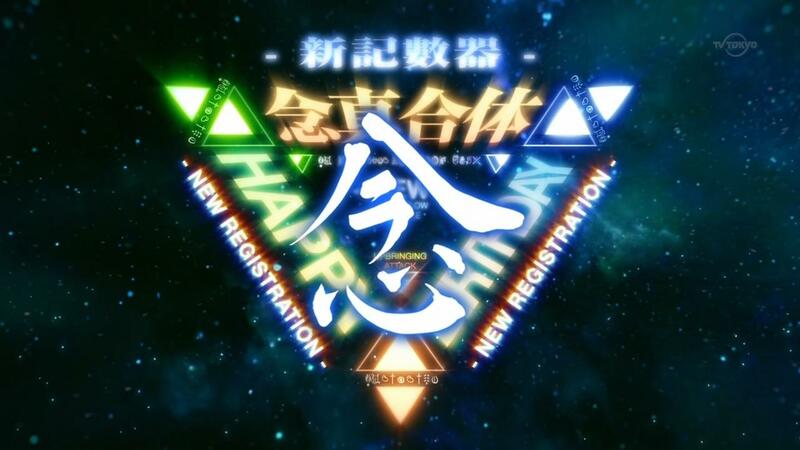 In the first Aquarion series, there was also nenshin (念真) gattai (合体) indicating that the elements in the union were genuinely (真) united through their thoughts (念). The character used for thought (念) is made up of 2 other characters: now (今) stacked on top of heart (心). Hi guys. As you all know, the spring anime season is starting this week. We’re happy to announce that we’re recruiting some spare staff (namely timers and typesetters) to help out with the workload. Fansubbers of all occupations are welcome to apply, but it’s hard to say whether we’ll actually need you to do something or not. Please be sure to read over the requirements carefully before you consider applying. IRC Capability: We use IRC on a daily basis to communicate and we expect new members to be on IRC. Age: Please be a minimum of twenty (20) years old, but no older than thirty (30). You can take a picture of your identification card or drivers license for this step. Fansubbing Experience: You must either be in a fansub group or have previous experience working in one. Use your portfolio to provide samples of work you’ve done for other groups. Cover Letter: Minimum 3 paragraphs. Remember to use your cover letter to introduce yourself and reinforce what your resume says. In some cases, you may even be able to express things that your resume won’t be able to express. Resume: Your resume should tell us where you learned fansubbing, what groups you’ve worked for, and what kind of skills you have. You can also use it to list your references in other fansub groups. Portfolio: Your portfolio must show us work from fansub releases you’ve worked on and must have a minimum of work from five (5) different anime series. References: Minimum 2 group leaders -OR- 4 non-group leader fansubbers. Please include a list of your references with your resume. Remember to include your phone number on your resume or cover letter header! Our secondary form of communication is text messaging. In order to begin the application process, query Freya on Rizon and provide her with your cover letter, resume and portfolio. If we like what we see in your portfolio, we will move onto a proper interview over IRC. If you’re a complete idiot, we will probably kickban you from IRC. If you are an okay dude, then you may receive a skills assessment test. In the past year, we recruited both 8thsin and Zwill using this method. We’re quite happy with these staff members and the work they produce. We hope to add another member or two like them to our group. Thanks for your interest in gg & good luck! Posted on April 1, 2012 April 1, 2012 Author kodaCategories News41 Comments on Spring Recruitment! Last year we did a series of 4 standalone pieces called the 2010 Young Animator Training Project. You can grab them from BakaBT if you’re interested. As I announced on the temp webpage, we have plans to do the 2011 series. Currently, we’re working on one of them, and the other three are at translation. The translator has been busy recently. And by “busy” I mean “all I see on his facebook wall is pictures of him and girls in Japan”. So er, yeah. Here’s a new website. Also, the spring anime season starts in like 1.5 weeks. Aquarion is 2cour/20+ eps, so it will continue on next season. The other translators were talking about waiting until after simulcast announcements were made, so you might not see anything new from us until the episode 2s start airing. Ported over from the temp website. (EVOL 12) Shrade references the first ending from Aquarion, Omna Magni. The lyrics are gibberish-y. They have a Japanese translation that is also gibberish-y. If we were to insert an English translation of the Japanese translation of Omna Magni of the lyrics used in the preview, it would be something like, “When the boys feelings do a lizard tail, the girl learns of the night dew for the first time. But the two of them have a silent night.” The more you know? (EVOL 11) Mikage’s line describing a boy of “amber eyes and golden hair” is literal. The script writer might’ve gotten it wrong or I don’t know what. 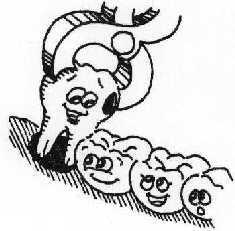 (EVOL 9) Fudo & the others all use sayings/proverbs with the word hole or something like a hole – pit, den. Since the English equivalents to those sayings/proverbs don’t actually keep the word hole/pit/den, we modified them into English equivalents but with the word hole. Crea’s on the other hand is a parody of the Japanese saying “boys before flowers”, replacing “hana” (flowers) with “ana” (holes) which no one actually says hence why the other 3 groan at her after. The “ana”gram in the episode title is also a pun on ana meaning hole. (EVOL 8) Yes, Go Tight actually plays in the episode. No, we didn’t bother timing/translating it because insert karaoke is for dumb “completionist” subbers. Mix’s line in the preview is a pun. “Anata” = you/~darling~, “ana” = hole. “Anata” was translated as something else so it works in English. 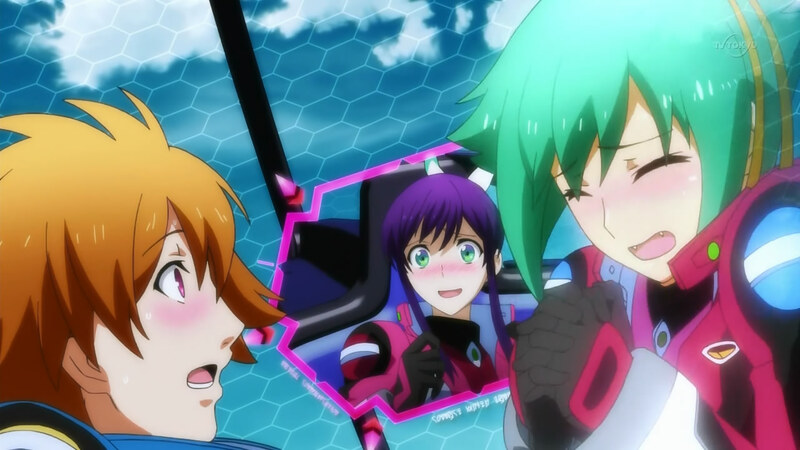 (EVOL 7) Yes, Jin keeps referencing Go Tight lyrics in Aquarion EVOL. No, we’re not translating them in special ways. Japanese has, uhm, let’s just say context issues.